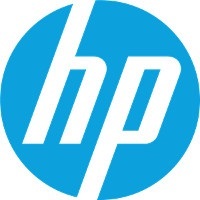 The reliable HP print cartridge brand provides high-quality laser printing for a wide variety of corporate environments. This cartridge is designed for use with HP Color LaserJet CP5225. Toner colour is yellow with improved ColorSphere Smart Printing technology. The average Cartridge Yields 7,000 standard pages in accordance with ISO/IEC 19798.? For shipping to other EU countries visit this page HP CE743A yellow. Chcete doručit zboží do Česka? Prohlédněte si HP CE742A žlutý. Chcete doručiť tovar na Slovensko? Prezrite si HP CE742A žltý. Magyarországra történő kiszállításért tekintse meg ezt a termékoldalt: HP CE742A sárga.